Jedi believe in the Force, a specific energy that flows through all things and binds the universe together. They also believe that humans can tap into or shape the Force to unlock greater potential. Many Jedi also view themselves as guardians of truth, knowledge, and justice, and actively promote such ideals. Many Jedi consider their beliefs to be a religion. Some, however, prefer to label them as a philosophy, personal development movement, way-of-life, or lifestyle. Jedi Religion, or Jediism, continues to be an incredibly decentralized system of belief. While various groups have sprung up to teach it to others, there remains a large amount of variance between individual Jedi and multiple Jedi organizations. Jedi teachings are generally considered suggestions and guides rather than rules. This often brings about different approaches to the teachings among various groups. None are necessarily viewed as improper or incorrect. How Did the Jedi Begin? The Jedi were first mentioned in the 1977 movie "Star Wars IV: A New Hope." They remained central in the five subsequent "Star Wars" movies, along with the novels and games that are also based in the "Star Wars" universe. While these sources are entirely fictional, their creator, George Lucas, researched a variety of religious perspectives during their creation. Daoism and Buddhism are the most obvious influences on his concept of Jedi, although there are many others. The existence of the internet has allowed the Jedi Religion to organize and multiply rapidly over the last two decades. Followers acknowledge the movies as fiction but recognize religious truths in various statements made throughout them, specifically those referring to the Jedi and the Force. Central to all Jedi beliefs is the existence of the Force, an impersonal energy flowing throughout the universe. The Force may be equated to other religions' and cultures' beliefs such as the Indian prana, the Chinese qi, the Daoist dao, and the Christian Holy Spirit. Followers of Jediism also follow The Jedi Code, which promotes peace, knowledge, and serenity. There are also 33 Jedi Teachings To Live By, which further define the effects of the Force and guides Jedi on basic practices. Most of these are rather practical and positive, focusing on mindfulness and insight. The Jedi Religion's biggest hurdle in being accepted as a relevant religion is the fact that it originated in an acknowledged work of fiction. Such objectors generally have a very literal approach to religion in which religious and historical teachings are supposed to be identical. Objectors also often expect all religions to originate from a prophet who knowingly speaks a divine truth, even though a vast number of religions do not have such neat and tidy origins. The Jedi Religion gained a lot of news coverage after an intense email campaign encouraged people in the UK to write in Jedi as their religion on the national census. This included those who did not believe in it and who thought the results might be amusing. 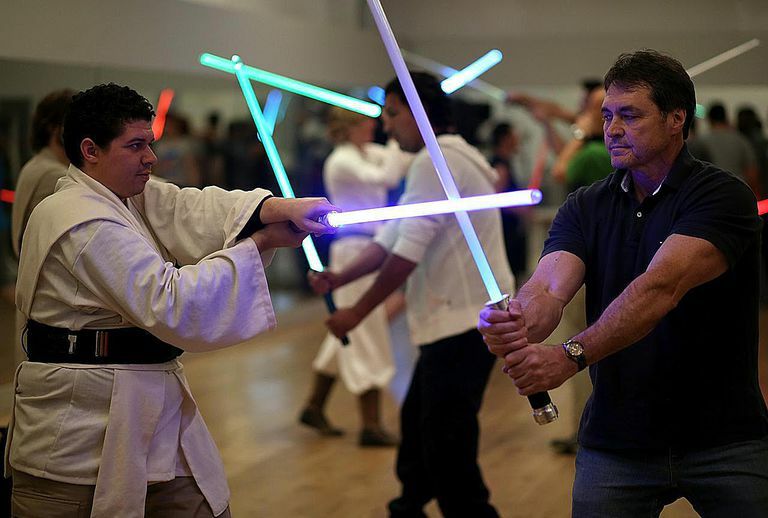 As such, the number of actual practicing Jedi is highly questionable. Some critics use the hoax as evidence that the Jedi Religion itself is little more than a practical joke.